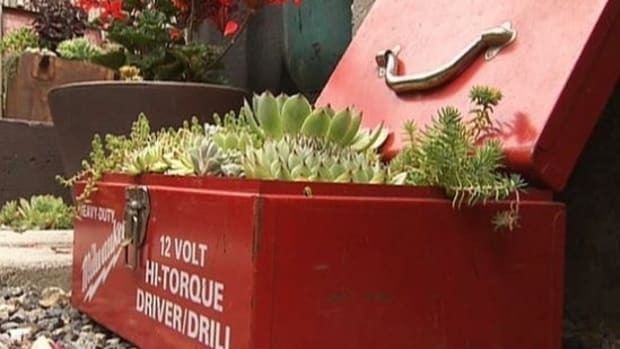 For those of you DIY upcyclers out there who wish to avoid buying new pots and containers for your organic garden this spring, you’re in luck. 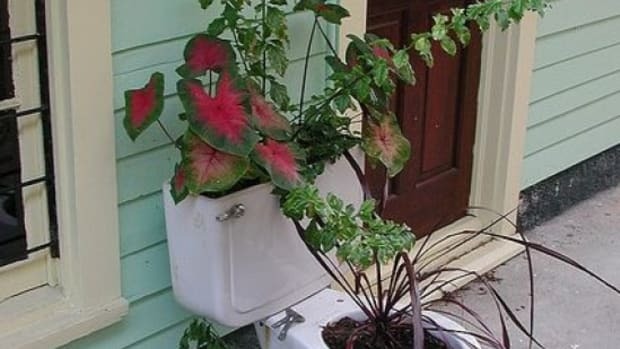 Because almost anything you can put drainage holes in can become a practical artisan plant container. 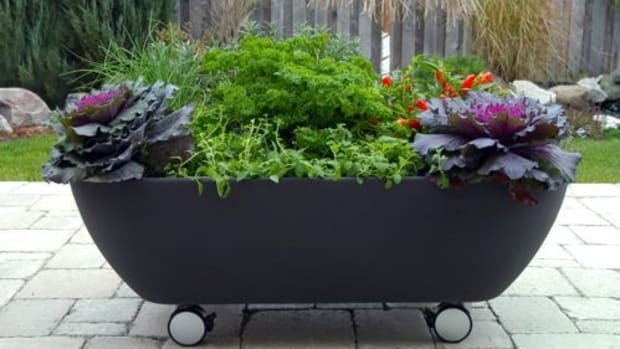 Now, lets look at what a typical container garden needs to thrive, before we break out the old tool box. Just like shopping for a new home or apartment, there are always drawbacks and advantages to consider. But fortunately for all of us, plants aren’t as picky when it comes to their temporary domicile. 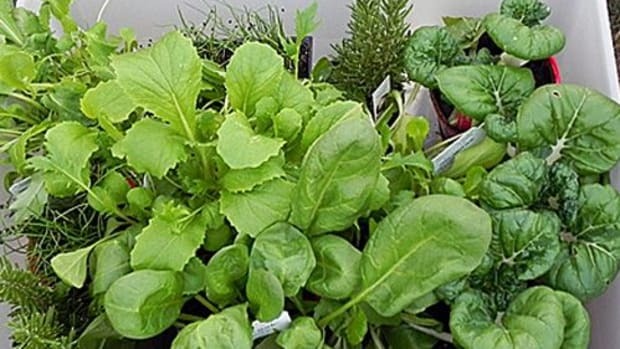 To effectively plant outside the norm this spring, it is recommended that you first understand the assets and limitations of your general garden containers. Cocoa fiber- or moss-lined containers and clay pots are natural (which is a good thing), but because they are porous, they dry out quicker. Plastic or glazed pottery, are easier to come by, but they dry out slower, because water cannot evaporate through their sides. Fiberglass and/or resin pots are lightweight, generally less expensive (when you can find them) and cold weather-resistant. They are both nonpourous (a pro and/or a con) and due to their weight, they are prone to tipping over. Before we can get too crafty and address the diversity of pottery forms available for you to create, let me state the basic function of a container. 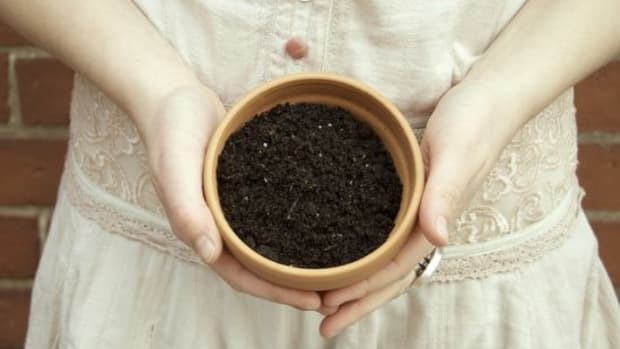 The pot or container&apos;s sole purpose in life is to contain: the soil, plant, nutrients, water, oxygen and diverse colonies of microorganisms. Pretty simple. Until that is we factor in YOU - the gardener. Be mindful of the soil depth that your plant requires. Ask your local nursery, Google it, or contact your regional Master Gardener for specifics. To make life easier on you and your plants, select a larger container. More soil allows your root system additional real estate to spread out in. This will provide your plants with a healthier and fruiter life. 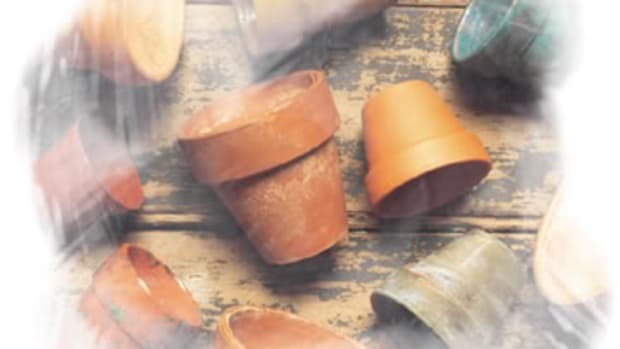 Thoroughly clean your pot, with vinegar or your prefered natural disinfectant, before you add soil. Create drainage holes or use layers of gravel if you cannot make drainage holes. Fill your container to as close to the top as you can get. Leaving a tiny lip to contain the water. Smaller containers will need to be watered more often. If temperatures reach the high 90’s, you’ll likely need to water more than once a day. Water until you see it flow out the drainage holes. 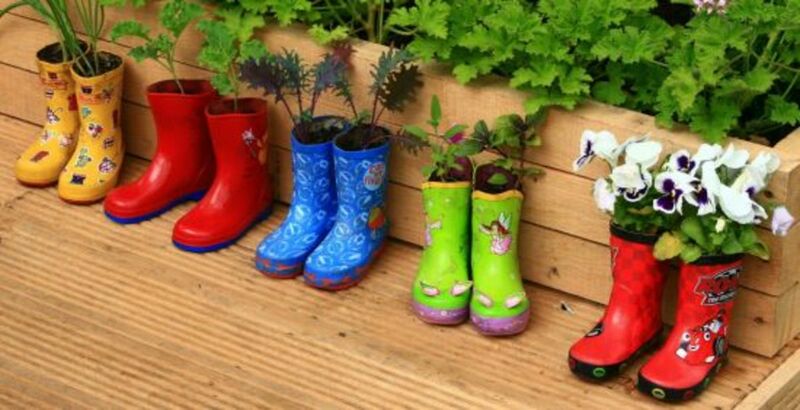 To help with drainage, set containers on wood blocks, upside down terra-cotta pots, or bricks. Do not let your pot or plant sit in standing water. 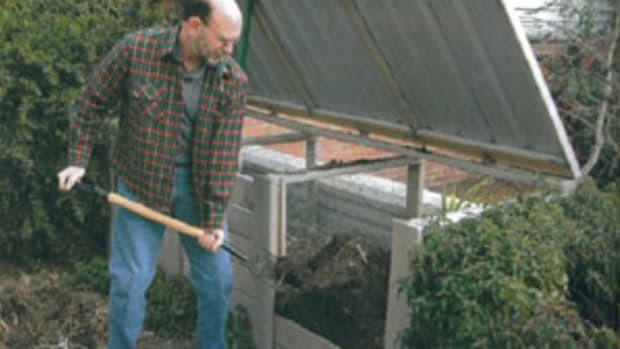 Replace the soil every year or every other year at most. Add more soil to the top, if you notice it getting low. If your plants had disease problems during the season, it’s best to change all of the soil and thoroughly clean the pot. Take photos and post them online to plant digital seeds of inspiration in your social network gardens. 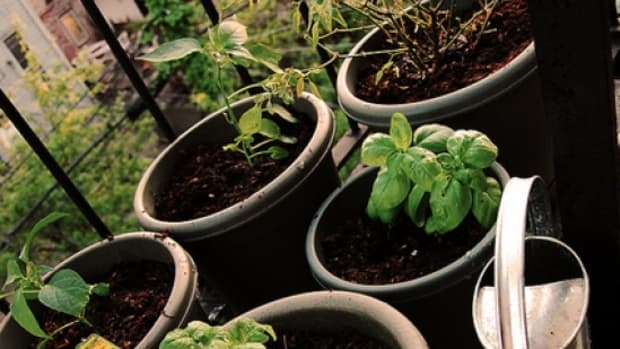 Now that you see the level of commitment and consideration a healthy container garden needs, stay tuned, as next week we&apos;ll look at a few creative designs for DIY garden pots you can begin making in no time. All you need is: soil, a plant, and a light bulb. Until then, I&apos;ll see you in the garden.